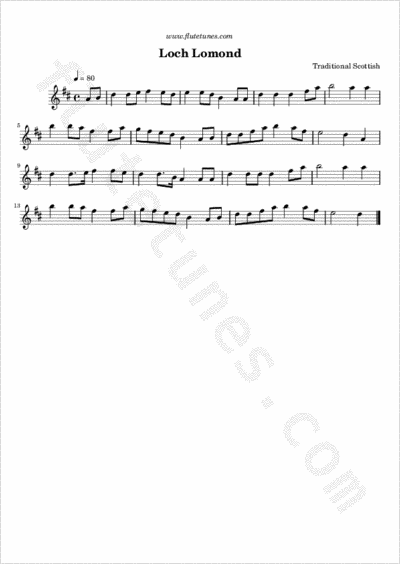 This tune, also known as “The Bonnie Banks o' Loch Lomond”, is one of the most famous Scottish airs. It is often played as the final piece of music during an evening of revelry in Scotland, a phenomenon not seen in other parts of the United Kingdom. 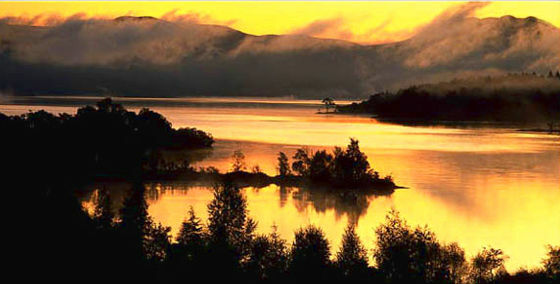 Loch Lomond is a large Scottish lake located between the traditional counties of Dunbartonshire and Stirlingshire. The lyrics are supposed to refer to one of Bonnie Prince Charlie's ill-fated followers who was about to be executed for rebellion. His sweetheart had come to Carlisle, perhaps to seek his release, but he told her he would be taking the “low road” (probably referring to the passage to the underworld) back to Loch Lomond, where they had spent their happiest hours. Scottish folk-rock band Runrig has made the song its unofficial anthem, closing all the concerts with a rendition for over 25 years. The tune was even used in the series Smallville for a non-existent folk song called “The Birks of Saint Kilda”, played by a clock as a clue for finding a relic that activated a piece of alien technology.